“No glasses! I don’t NEED GLASSES!” Jack screamed from the back seat of the van. I turned in my seat and saw him start to beat his head with his hands and kick his bright blue sneakers in the air. We were on our way home from a very long afternoon at Children’s Hospital, where they’d tested every facet of Jack’s deep-set blue eyes; from depth perception (he has none) to distance (he can’t see far) to something called amblyopia (his very lazy, I-want-to-sit-on-the-couch-all-day-and-eat-potato-chips left eye). As we neared town, Joe suggested we stop at the optometrist and have Jack pick out his new glasses. Quietly, Joe and I agreed to let it go for the night, to just let Jack relax and process the idea of eyewear. Joe and I exchanged panicked whispers in the kitchen while Jack threw himself on the floor and rolled around in a frenzy. “Maybe we can tell him he won’t have to go to summer school if he wears his glasses,” Joe suggested furtively. 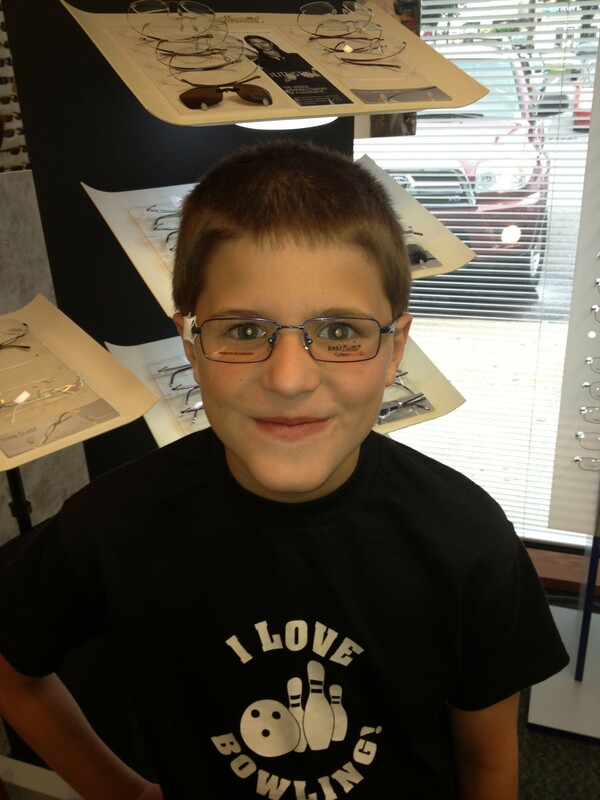 We enlisted ten-year old Joey—a newcomer to the world of glasses himself—to show Jack how great it was to see clearly. “Jack, Jack you will love it. You will see better,” Joey told his hysterical brother, using the shortened speech pattern he learned long ago to get his point across. No luck. Exhausted, he finally started to wind down around 8:00. On the way to bed he made one last heartbreaking plea. “I just want to be normal,” he whimpered, drawing his weighted blanket up to his ears. I wandered back downstairs, feeling despondent and hopeless like I always do after one of Jack’s marathon tantrums. I e-mailed his teacher to update her on the appointment and explained his resistance to glasses. As he munched his Cheerios I told him I thought the teachers had something funny planned, something to cheer him up, but he just griped, “I am not going to school today EITHER.” Grumpily, he trundled to the bus and stomped up the stairs without a look back. Jack got off the bus and slumped the backseat of the van. “Okay, okay, okay,” he said, holding his tattered red backpack on his lap, “I will try my best. With these glasses.” And off we went to the optometrist’s, where he picked out an electric blue pair of spectacles without any prompting at all. In the end, we didn’t have to resort to bribes and Wii games and summer school. In the end, it took a group of teachers dusting off their glasses to help Jack zig and zag his way through unexpected change, to show him they understand him, they embrace him, they accept him and his autism. And for just a short time, they made my unusual son feel as though he belonged, as though he was normal. The glasses are fab—the shirt? Why are you doing THAT to the boy! I hit reply too soon—you and Joe are trying to live vicariously though him with the bowling bidness? Great glasses and great post. Oh my! Devilishly handsome, he is in those glasses! Your school community is amazing. That they could turn- that they WOULD is absolutely amazing. The teachers at Riddle Brook totally ROCK. I hope this goes vieal. Jack you look so handsome. Carrie your blogs tear me up everytime. Thanks. They look great and he totally looks like his normal self! 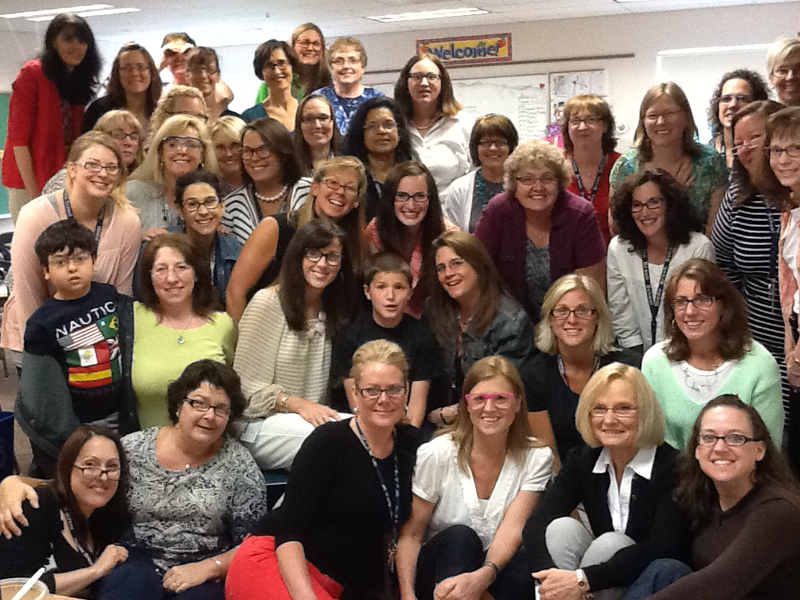 Congratulations Jack, now you can make a spectacle of yourself with the staff, teachers and kids who love you…..with, or without, glasses. Those glasses are fantastic and he certainly looks like his regular, handsome self. Congratulations Jack, now you can “make a spectacle” of yourself with the teachers, staff and students who love you, with, or without, glasses. OUTSTANDING !!!!! Great looking glasses btw. This brought tears to my eyes. GREAT community we live in!!! You made me cry this morning — amazing teachers, wonderful parents and good job Jack ! Wonderful story! And what a great reminder of the power of love, of connection, of caring. Fabulous! I love how the school community came together to show their support! I also loved the teacher’s comment about “a new zig in his zag”! We have been having the exact battle regarding glasses with my son, right down to him screaming, “I won’t look NORMAL!” I’ve found much comfort in reading your words! !